In the wise words of the iconic Coco Chanel, “A woman who cuts her hair is about to change her life.” Our hair definitely helps define who we are. We feel like a new person whenever we get a haircut or style up our hair in a different way. A haircut can mark an important time in a person’s life or a new beginning. Hair is part of what makes us who we are, and that’s why if we were to trust anyone with something that is as important to our lives as our hair is, we would definitely have to leave it in good hands. That’s why, there’s no better place to turn to than the hottest and most chic salon out in Los Angeles – BOMANE Salon! BOMANE Salon is more than just a place to get your hair done and get all dolled up. It’s a life-changing experience and once you go to BOMANE, you would never want to go anywhere else. 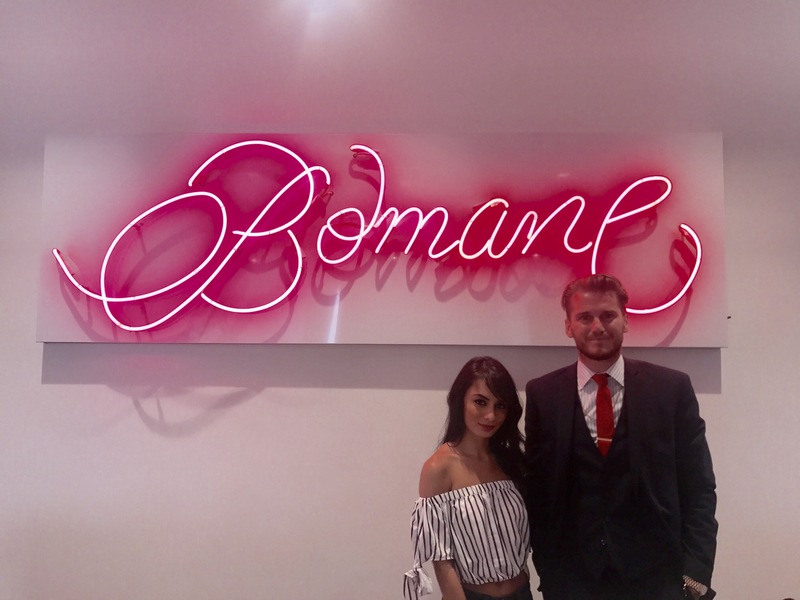 BOMANE was brought to the Beverly Hills area at a historic building by two geniuses – founders, Sonny Henty and Andrea Jaclyn. It’s clear to see why BOMANE is as incredible as it is as it was founded by two of the most extraordinary and interesting individuals. Both Sonny and Andrea have such unique backgrounds and expertise in the field of beauty and Cosmetology that they bring their passion, professionalism and art to the brilliant salon. THANK YOU @bomanesalon for a day of pampering at the press preview today! Loved getting my hair all styled up with a new look, peep the side bangs 😉💇🏻 definitely the most chic, classy & artistic salon out in LA! Love it here, definitely going to frequent BOMANE!! Sonny Henty is, without a doubt, one of the most fascinating individuals you will ever meet. He’s a boxer, a model, an artist, and the president and founder of the greatest salon in Beverly Hills. Sonny Henty has traveled around the world – he was born in England and lived in South Africa, Australia and now, Los Angeles. At the ripe age of 9-years-old, Sonny became a boxer. After partaking in many international tournaments, Sonny also ventured into modeling and sharing his awe-inspiring vision through his artwork. Inside BOMANE Salon, Sonny Henty has many of his remarkable masterpieces of artwork showcased in his office. You’ll truly be mesmerized by all of his pieces and you’ll definitely want a “Sonny Henty” artwork of your own to display at your home or office. The artwork adds an extra artistic flair to the fabulous salon. Andrea Jaclyn is an extension specialist guru. She puts so much love into every hairstyle that she works on and she gives all of her clients such an effortless, voluminous, and spectacular look. Andrea takes the time to connect with all of her clients and give each one of them an unforgettable experience. Her work has been featured in many magazines and she has even worked with many renowned celebrities and models – giving them the sensational hairdos we all can’t help but obsess over. If you’re looking for the most exceptional extension specialist and stylist, then look no further as Andrea Jaclyn is who you are looking for. As soon as you step foot in BOMANE Salon, you will feel as though you’re in hairstyle heaven. The salon is unlike any other salon you have seen before. It’s super chic and trendy – with an innovative Kate Moss magazine cutout bathroom floor and big murals of Rosie Huntington-Whiteley displayed. Each of the styling areas allows the stylist and the client to have a personal relationship which brings out incredible hair looks. Everyone at BOMANE has so much expertise at what they do and they work hard to let clients leave happy and proud rocking their new ‘do. In addition to the amazing work that all of the stylists do, another thing that brings up the great energy in the salon are the special crystals that are placed within each of the walls. Crystals have been used as a healing mechanism and have even been included in the walls of the BOMANE salon to continue to bring more positivity and keep up the flow of good energy and vibes. I, Alexisjoyvipaccess had the most phenomenal time at the press preview day of BOMANE Salon and I can honestly say that nothing compares to BOMANE. This unrivaled salon will make you feel like the queen / king that you are. I got a fabulous cut with side bangs and styling at the salon and I can’t even express into words how much I’m obsessed with this place. 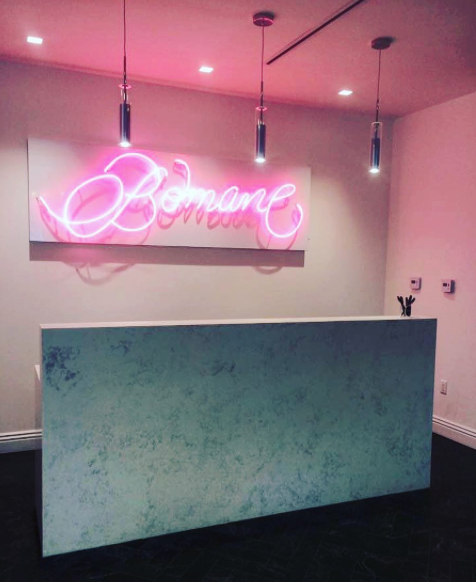 There’s no wonder as to why celebrities including Lisa Vanderpump, Kesha, Meghan Trainor, Stacy Keebler, Felicity Huffman, and more can’t stop raving about BOMANE. Words can never begin to describe how terrific BOMANE is. When words fall short, a trip to BOMANE to experience some pampering will do the trick. Say good-bye to bad hair days and say hello to your new favorite place! BOMANE Salon is the place to be for the best blowouts, styling, cuts, coloring, highlights, extensions and more! Follow BOMANE Salon on Instagram: @BOMANESalon and visit: https://bomane.com/ for more info! Previous Article: You Have To See “Major Crimes” Star Graham Patrick Martin’s Directorial Debut In Harlie’s New Music Video! Next Article: The “School Of Rock” Cast Looked So Exceptional At The Creative Arts Emmy Awards!